31/12/15 -- Soycomplex: Beans closed lower as weekly export sales disappointed (even if this was for a holiday week). These came in at 478,800 MT for 2015/16, and were down 77 percent from the previous week and 62 percent below the prior 4-week average. Trade expectations were for sales of 750,000 to 850,000 MT and sales a week ago topped 2 MMT. China (who else?) was the top buyer this week taking 280,900 MT (including 181,000 MT switched from unknown destinations) and Germany (149,400 MT). Exports of 1,366,600 MT were down 16 percent from the previous week and 17 percent from the prior 4-week average, but again we have to consider the specific week involved. The primary destination was China (707,900 MT). In Brazil, rains are finally expected to start to build in northern areas this week. MDA CropCast have the Brazilian 2015/16 bean crop at 98.71 MMT, with Argentina at 59.57 MMT, both unchanged from a week ago. 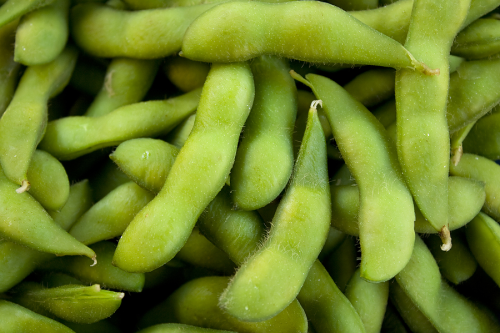 Jan 16 Soybeans closed at $8.71 1/4, down 4 1/4 cents; Mar 16 Soybeans closed at $8.64 1/4, down 6 cents; Jan 16 Soybean Meal closed at $264.30, down $1.50; Jan 16 Soybean Oil closed at 30.55, down 29 points. For the week that puts front month beans 4 cents lower, with meal down $4.70 and oil shedding 32 points. Front month beans closed the year almost a dollar and a half below where they began it for a 14.5% loss. Meal fell 27% versus 12 months ago, and oil was down a "mere" 4.4% as the values of the products reconfigured themselves. Corn: The corn market closed around a cent or so lower. Weekly export sales of 705,200 MT for 2015/16 were down 12 percent from the previous week and 3 percent from the prior 4-week average, but a little above trade guesses in the 600,000 and 650,000 MT region. Increases were reported for Mexico (173,700 MT), unknown destinations (152,900 MT) Japan (130,800 MT) etc. Exports of 556,400 MT were down 32 percent from the previous week, but up 2 percent from the prior 4-week average. MDA CropCast cut their South African corn production estimate by 310,000 MT to 9.3 MMT due to dryness. They have Brazil and Argentina both unchanged on a week ago at 80.3 MMT and 25.4 MMT respectively. The US corn market is nervous now that Argentina has removed both export duties and quotas on corn. 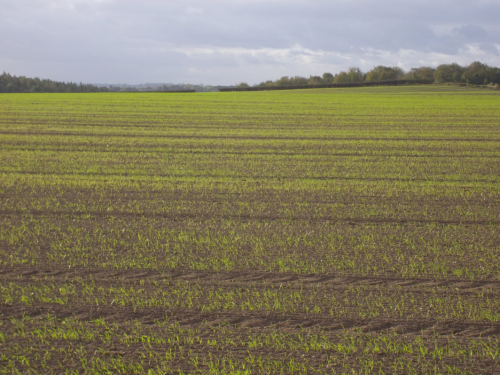 Ukraine said that their 2016 spring grains planted area would jump more than 10% to 7.55 million ha. 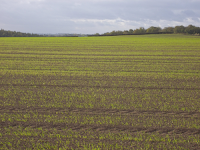 Corn sowings will rise 9.6% to 4.54 million ha, they suggest. Reduced winter grain plantings in Ukraine were always most likely to be largely re-accounted for by corn in UKraine - providing that the weather plays ball in the spring/early summer. The USDA had plantings in 2015 down at 4.00 million ha, but they were 4.63 million ha the year before that. A rebound to 4.5 million in 2016 could drag production back up into the 27-28 MMT region. Mar 16 Corn closed at $3.58 3/4, down 1/4 cent; May 16 Corn closed at $3.64 1/2, down 3/4 cent. For the week that puts Mar 16 down 5 3/4 cents, with May 16 down 6 1/4 cents. On a front month basis corn ended 2015 with losses of 9.6%. 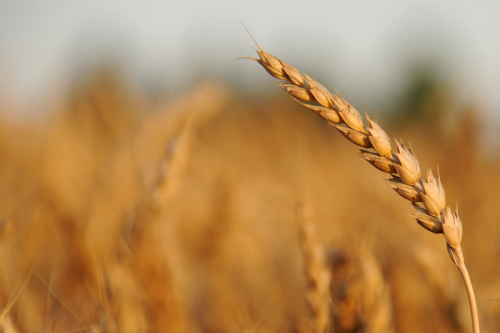 Wheat: The wheat market closed with small gains on the day. Weekly export sales of 363,500 MT for delivery in marketing year 2015/16 were down 2 percent from the previous week, but up 11 percent from the prior 4-week average. Trade expectations were for sales of only 250-300,000 MT so this was a bit better than the market had thought likely. Top buyers were Indonesia (102,200 MT), Italy (57,400 MT), Mexico (42,500 MT), Jamaica (42,000 MT), Tunisia (30,800 MT), Japan (27,000 MT) and Malaysia (22,800 MT). Additionally, net sales of 18,900 MT for 2016/17 were reported for Panama. Exports of 253,800 MT were down 38 percent from the previous week and 25 percent from the prior 4-week average. MDA CropCast cut their view on the Moroccan 2016 wheat crop by 0.74 MMT to 8 MMT. Heavy US rains in the Mississippi Delta and Midwest have resulted in heavy flooding, but drier weather this week will allow flood waters to subside, they said. They cut their forecast for the US 2016/17 all wheat crop to 60.1 MMT from 60.2 MMT a week ago. "December weather has been unseasonably warm in the Midwest and Great Plains, 8-15 F above normal, allowing for slow growth in wheat to continue. The strong El Nino, besides causing heavy rainfall in the heartland, has also brought exceptionally warm weather," said Martell Crop Projections. Mar 16 CBOT Wheat closed at $4.71, up 1 1/4 cents; Mar 16 KCBT Wheat closed at $4.66 3/4, up 1 1/4 cents; Mar 16 MGEX Wheat closed at $4.94, up 1 3/4 cents. For the week that puts the Chicago market up 3 1/2 cents, with Kansas 3/4 of a cent lower and Minneapolis a cent easier. Based on where prices were a year ago, Chicago wheat finishes 2015 with a 20% decline, whilst Kansas wheat is down 30%. 31/12/15 -- At the official closes for 2015, Jan 16 London wheat was GBP0.10/tonne higher at GBP114.00/tonne, Mar 16 Paris wheat was EUR1.25/tonne lower at EUR173.50/tonne, Jan 16 Paris corn was down EUR2.25/tonne at EUR144.50/tonne, whilst Feb 16 Paris rapeseed was unchanged at EUR374.00/tonne. For another holiday shortened week that puts London wheat GBP1.55/tonne higher, with the Paris market down half a euro, corn EUR6.00/tonne lower and rapeseed EUR0.75/tonne weaker. A pretty mixed bag there. Perhaps more noteworthy is that for the calendar year, this means that London wheat ends it with a net front month loss of GBP19.30/tonne (14.5%). Paris wheat is down EUR26.50/tonne (-13.3%) versus 12 months ago, corn ends 2015 EUR18.00/tonne easier (-11%) and rapeseed is the sole of the sector to advance for the year, closing with a net gain of EUR23.00/tonne (up 6.6%). It's also worth noting that subsequent to last New Year's Eve's London wheat finish of GBP133.30/tonne, a front month only closed higher than that twice in the entire year! And that was on last Jan 5 and 6! Paris wheat didn't fare much better. The 2014 close of EUR200.00/tonne proved to be within EUR5.00/tonne of the best finish of the year, although more than EUR50.00/tonne above the bottom of the market. Corn began 2015 at EUR162.50/tonne, but rallied to a high of EUR193.75/tonne as heat and dryness concerns hit in the summer. All those gains had disappeared by the end of the year though, and we end 2015 at the lows of the year. Only rapeseed managed an annual net gain. Closing 2014 at EUR351.00/tonne, it rose fairly steadily throughout the year - without quite managing a close above EUR400/tonne -and finishes 2015 with an overall net advancement of more than 6%. Looking at the old crop/new crop market differentials. Twelve months ago today, the new crop Nov London wheat position was a GBP4.50/tonne premium to the nearer-by old crop May position. The very far long Nov - around 18 months hence - offered a further GBP4.90/tonne "carrot" to those looking to lock in a premium. Tonight we see a new crop Nov 16 premium of GBP12.15/tonne and a long Nov 17 premium of GBP18.20/tonne versus front month Jan 16 (and GBP7.65/tonne and GBP13.70/tonne) versus the May 16 position. A year ago these unusually large carry incentives were enough to encourage high volumes of the 2014 wheat harvest to be stored right through into the 2015/16 marketing year. Today we have a situation where the incentives on offer are at least double what they were this time last year, and in some cases almost 3-times higher. It looks like what is on the table today can only therefore re-enforce this as a viable strategy once more. Even with the premiums on offer though, many growers will still likely be reluctant to actually commit to fresh forward sales hoping for a turnaround in prices in 2016. "However, the last ten years tells us that pinning hopes on a major rally in the second half of the marketing year has the odds stacked against it," say the HGCA. Looking at the last old crop month, the July contract in each of the last ten years, for seven of them "the price at the end of the marketing year, and indeed through much of the six month period, was lower than that in early January," observe the HGCA. "For the three years that did end up above the January price levels (2006, 2007 and 2012), the momentum was driven by relatively tight grain stocks and new crop weather issues. 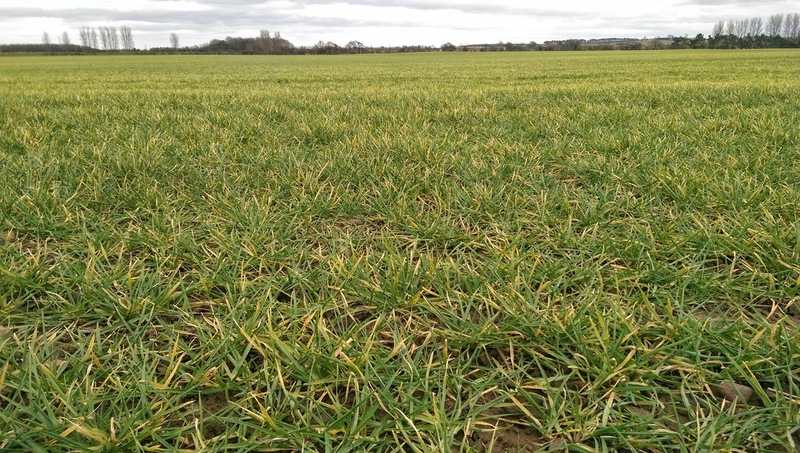 For 2016, it’s clear the world and UK has high stocks, so it will be down largely to weather issues this spring to bring life into to the old crop market," they deduce. So, it looks like UK growers begin the new year much as they started off the old one: Carrying stocks, not liking the look of prices enough to commit to sales in any position, but comforted somewhat be the large premium being offered to stick with this as a marketing strategy for now (and seeing few other viable alternatives).